Initially, Amagi Metals had joined the Bitcoin community with little fanfare. When four-year-old company first started accepting payments in Bitcoin in December 2012, it made no attempt to advertise the fact; indeed, the first time that the company received any significant attention from the Bitcoin community at all was when a visitor stumbled upon the site and created a Reddit forum thread in January. Even after that, for the first three months the Bitcoin option saw little usage, and after the forum thread came and went most of the Bitcoin world did not know that the company even existed. However, behind the scenes word soon began to spread as a number of factors turned in Amagi’s favor. First of all, the Bitcoin community has grown massively in the last few months. Public attention on Bitcoin is through the roof, and nearly every business in the Bitcoin economy has seen massive spikes in usage. Second, the precious metals sector of the Bitcoin economy has shown itself to be ripe for competition. For over a year, Coinabul has been by far the dominant precious metals seller in the Bitcoin community, but it has been criticized for relatively high prices, and in the past month in particular the company suffered two major setbacks. At the beginning of March Coinabul’s reputation was shaken by a public relations mishap in which the company refused to refund an insured silver shipment that had failed to deliver because the insurance company failed to refund them, and two weeks later one of its two main employees, Jon Homlquist, left the company to work on BitcoinStore full time. Although Coinabul is still stronger than ever, these three factors together have prompted an increasing number of users to look for alternatives. Fortunately, Amagi stepped in at just the right time. On March 14, the company announced that its total Bitcoin volume had reached $50,000, and three weeks later that figure was up to $175,000. Since then, volume has increased to an average of about $20,000 to $50,000 per day, and just today Amagi’s Stephen Macaskill reported that Bitcoin sales have exceeded $220,000 in the past 24 hours – transforming Amagi into one of the largest merchants in the Bitcoin community overnight. Stephen Macaskill is excited to be a part of the rapidly growing Bitcoin community, and has agreed to give Bitcoin Magazine an interview. 1. Tell us a little about the company. When was Amagi Metals first created, who were the people originally behind it, and why did you decide to start a precious metals company? Amagi Metals was started by a friend of mine as a hobby to collect and sell coins and base metals. It was started as an eBay store back in 2008. His hobby turned profitable and paid for his college tuition. I saw a lot of potential in the business and he wanted to follow other ventures. So I bought the company from him and rebranded it as Amagi Metals. I chose the name because the 4,000 year old Sumerian cuneiform symbol amagi is the first known human representation of the concept of liberty. I think financial responsibility is important for a free society. Unfortunately the simple lessons that our grandparents taught us to manage our money have been lost. So my goal is to promote financial responsibility and sound money, so that we may live in a freer world. 2. How did you first find out about Bitcoin, and why did you decide to start accepting it? I first heard about bitcoins from the libertarian community around 2010 when I was still in school. A friend called me one day in late 2012 and suggested that I start taking bitcoins. It didn’t take much convincing after that to accept bitcoins because I was already intrigued with the bitcoin experiment. So we started accepting bitcoins about a week later. It has been an exciting few months for us in the bitcoin community, to say the least. 3. What would you say are some of the important ways in which your company distinguishes itself from other previous metals sellers? We focus on financial education and the promotion of sound money, free markets, and free minds. 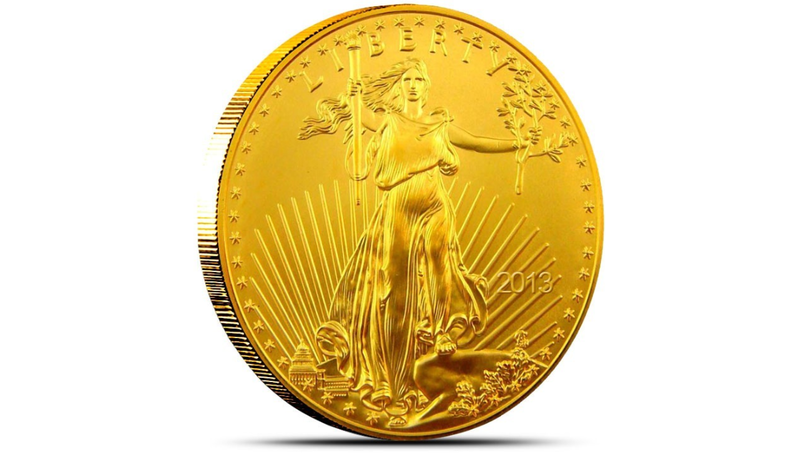 Some other precious metals companies may touch on those subjects, however they do not actively engage in the ideas of individual liberty paralleled with owning precious metals.There are only a few reputable precious metal companies that accept bitcoins. Of those companies, we have the lowest prices and are comparable to the big names such as APMEX.Our philosophy is also a little different from some of the big companies you may have heard of. We see gold as money, not as an investment, other companies advertise gold as an investment. I am referring to an investment as something you buy, wait for it to go up in value, and sell, for a profit. However we do not see gold and silver like that. Unless used as a currency, we think you should buy and hold gold and silver forever in the hopes that you never have to use it. Precious metals are used as an insurance policy, or hedge against inflation and economic turmoil and to protect your actual investments, such as stocks. 4. Where in the world do you ship to? If you ship outside the United States, what are your shipping fees, for both US and international, and how long does it take for shipments to get through? We ship worldwide, however we do not ship to every country. USPS does not allow shipping of precious metals to some countries and other countries cannot be insured by insurance provider, so we do not ship to them. Shipping costs vary depending on location, the value, and weight of the metals. Domestic shipments generally run between $2-40, and international shipments run between $5-200.Domestic shipments take 3-5 business days to arrive after your order has shipped. We mostly ship through USPS, which is a government run organization, so we tell customers that it may take up to 7 business days just to be safe. International shipments can take anywhere between 2-6 weeks to arrive. International shipping times can be very difficult to predict because of customs and shipping distance. The longest shipment we’ve seen has been 8 weeks to Australia, however we have seen shipments to Australia take as little as a week to arrive. 5. Also, you claim that all shipping is insured. How does the insurance work if a shipment is damaged or fails to arrive for whatever reason? Do you refund the customer first and then wait for the insurance yourselves, ask the insurer to pay back the customer, or something else? For orders under $50, we actually self insure. A transaction is a binding contract, so we honor all orders either by delivering the goods, or refunding the customer, no matter what. If a shipment that is insured (over $50) is lost in transit we must file a claim with our insurance company. The insurance company usually requires us, and our customer, to fill out an affidavit. The affidavit we sign is basically a sworn statement saying that the goods were sent and packaged properly. The customers affidavit is a sworn statement that they did not receive the goods. We do not refund the customer until after they help us fill out this paperwork, so that we can complete the insurance claim. After filling out the affidavit we send either a refund or a reshipment, which is determined on a case by case basis, such as if we still have the item in stock. 6. You mention that you’re now getting nearly $200k per month in revenue through Bitcoin. Exactly how much is that compared to the rest of your business? In the last few days we have actually been doing between $20,000-40,000 per day in just bitcoin sales. Bitcoin sales are only a part of our business, however it is beginning to become a substantial part. So much so that we have to hire additional employees to help handle the bitcoin orders. I find this astounding because the bitcoin community is creating jobs. We can directly attribute the hiring of our next few employees to the growth of our bitcoin sales. A politician could not say the same thing about job creation. 7. Do you have any plans to more specifically expand towards or target Bitcoin users in the future? Yes, we have just added a bitcoin currency selector to our website so that customers can see prices of our products in bitcoins. We also have a gold/silver price ticker that updates every 60 seconds and can now be viewed in bitcoins. We are working on a landing page to help users understand bitcoins, where to buy them, and the benefits of alternative competing currencies and sound money. Many other bitcoin accepting companies already have these pages, so hopefully the more companies that make it easier for people to understand bitcoins, the more people can easily start using them. We are also spending bitcoins back into the community through advertising, graphics design, web development, and recently working with an insurance company who accepts bitcoins to see if we can work together. 8. Anything else you would like to tell us? I am so thrilled be in the midst of this revolutionary phenomenon. It has changed the way we think about money and alternative competing currencies. Bitcoins have generated real wealth, jobs, and the spread of individual liberty around the world. At first I just acknowledged this phenomenon as something pretty cool, but to be a part of it and to see the spontaneous order of the bitcoin community in motion is something spectacular to witness.